Is Your OQ Plan Compliant? One size never fits all. 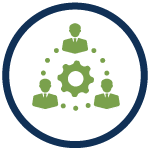 Work with our experienced consultants to develop or update your OQ Plan, guiding your company through the process every step on your way to compliance! The Operator Qualification rule, adopted into the Code of Federal Regulations, requires each pipeline operator to develop and follow a written OQ Plan. ITS knows how to tailor your covered task list and define the training and qualification requirements to ensure your employees are compliant and prepared to maintain and protect your pipelines. Your OQ Plan defines the covered tasks for your workforce based on ASME B31Q or API Standards. We can review your company needs and develop your OQ plan. Rely on our experienced staff to navigate government regulations and compliance protocols. Is your Operator Qualification Program current? As regulations change, your OQ program must stay current. Contact us for an annual review of your OQ program to ensure you stay compliant. Does your OQ Program need a full review? Our Operator Qualification Program Assessment includes an on-site visit to review the covered tasks identified in your written OQ plan. Does your Operations and Maintenance Program meet federal and state regulations? 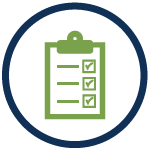 We can assess your O&M program to identify gaps, provide feedback, or develop procedures to comply with federal and state regulations. How do I know if my field facility and location are compliant? 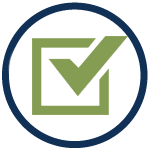 Our consultants can evaluate your field facility and location, documentation, data management, public awareness protocols, and personnel qualifications to align with your company’s compliance program. We can provide a mock audit by inspecting your records and procedures using the same forms federal or state auditors use. This process can identify areas needing improvement before a state or federal auditor actually reviews your records. Audit already scheduled? 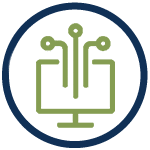 We can also assist you with audit preparation, support, and follow up to an existing audit to simplify and ease the burden of the audit process. The Gas Transmission Integrity Management Rule (the “Gas IM Rule”) requires pipeline operators to identify, prioritize, assess, evaluate, repair, and validate the integrity of gas transmission pipelines where a leak or failure could affect High Consequence Areas (HCAs). Obtain an Integrity Management Program Assessment to ensure you are meeting federal regulatory requirements. How do mergers and acquisitions affect OQ? Our OQ Consultant can review your OQ plan to ensure it is adequately updated with all changes to covered tasks from the merger or acquisition. Does your staff need Pipeline Regulatory Training? We can tailor regulatory training specifically for your company’s policies and procedures. A pipeline regulatory consultation is also available. PHMSA began inspecting operators’ control room management plans in 2011. Does your current plan still comply? Obtain a Control Room Management Program Assessment to ensure your CRM Plan would pass inspection. Do you need additional consulting services? Contact us at 1-800-333-1566 today, as additional services are available upon request. Call us at (800) 333-1566 or email info@its-training.com to learn more.